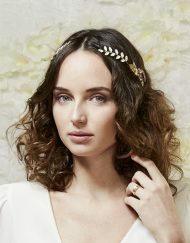 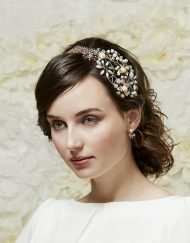 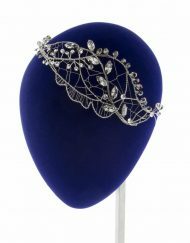 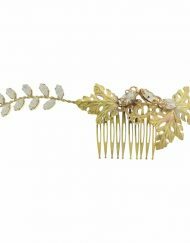 Joya Olivia Barroc Headpiece: bohemian art on your big day! 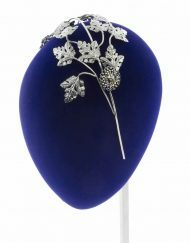 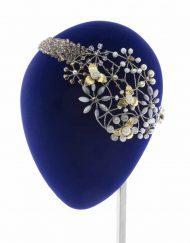 Vanguard, tradition and design come together in this bridal headpiece that features more than fifty pieces in Swarovski crystal and enameled metal. 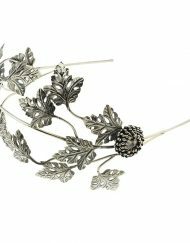 It’s a perfect, lightweight piece which is easy to wear. 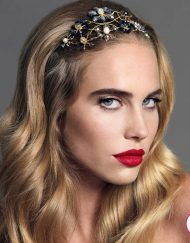 You can show it off with infinite hairstyles, in an updo, half up or with your hair completely loose! This superb jeweled headpiece is ideal for a classic look with a side parted hairstyle or at the back of your head showing off a veil. 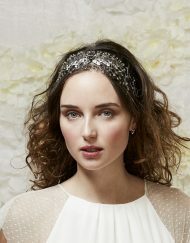 You can also wear it in front, like a headband, for more casual, romantic looks. 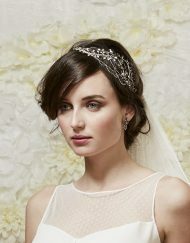 It’s a sensational piece that will undoubtedly finish off your best bridal look.